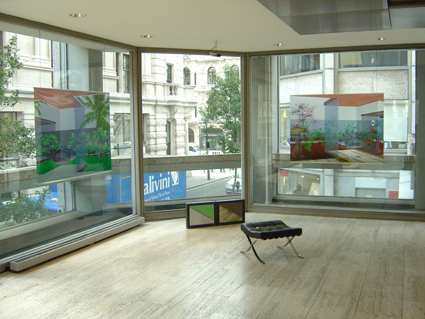 Anthony Gross has made translucent digital prints of a modernist house and garden that are suspended in the windows of the Economist foyer. Illuminated by sunlight, the prints are transparent enough to see through to the outside urban surroundings. 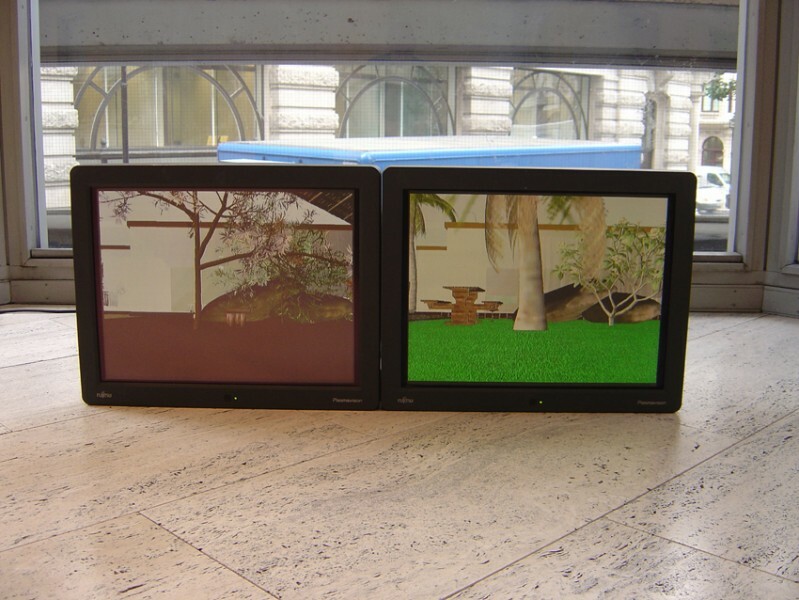 This notion of extending a conceptual or fictional modernist space is continued in a computer animation presented on plasma screens in and amongst the foyer furniture. 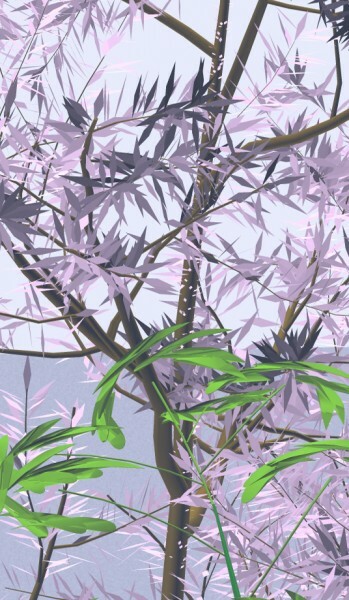 A camera slowly pans around two detailed environments slowly mirroring the objects they contain. The general sense of the animation is that of a fractured parallel journey, a story of time passing with eras and styles slowly looping. 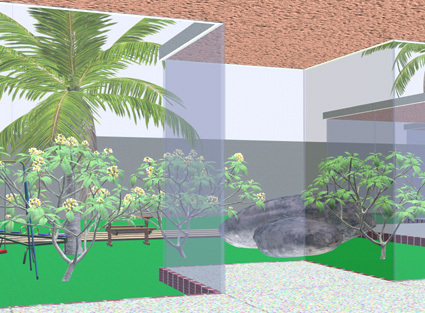 The animations and images are made by sourcing ready-made 3D models from a vast on-line community. 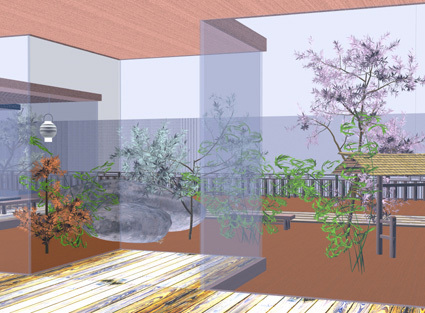 Individual models are laboriously customised and combined in large scenes like a virtual film set. Anthony Gross graduated from Goldsmiths College in 2001 and recently co-founded the gallery temporarycontemporary.